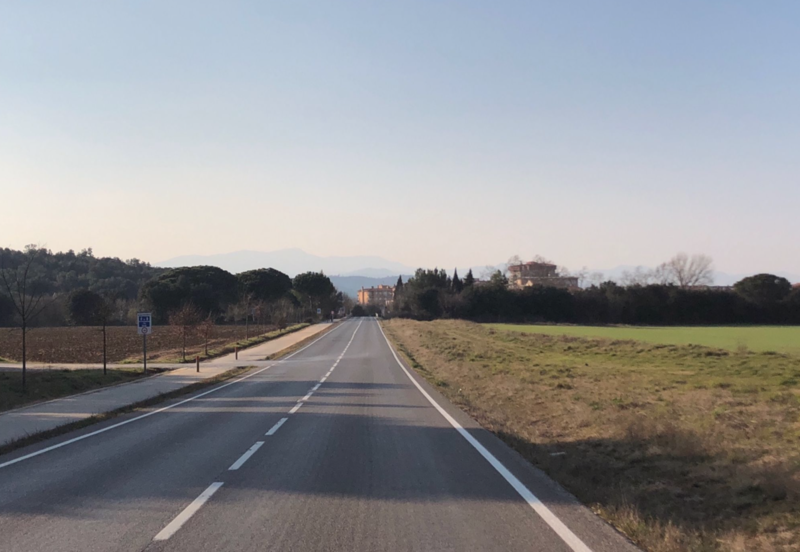 Ah, Girona - good weather, amazing roads, and drivers that give you all the room in the world when overtaking you. It's all very beautiful and makes riding even that much more enjoyable. 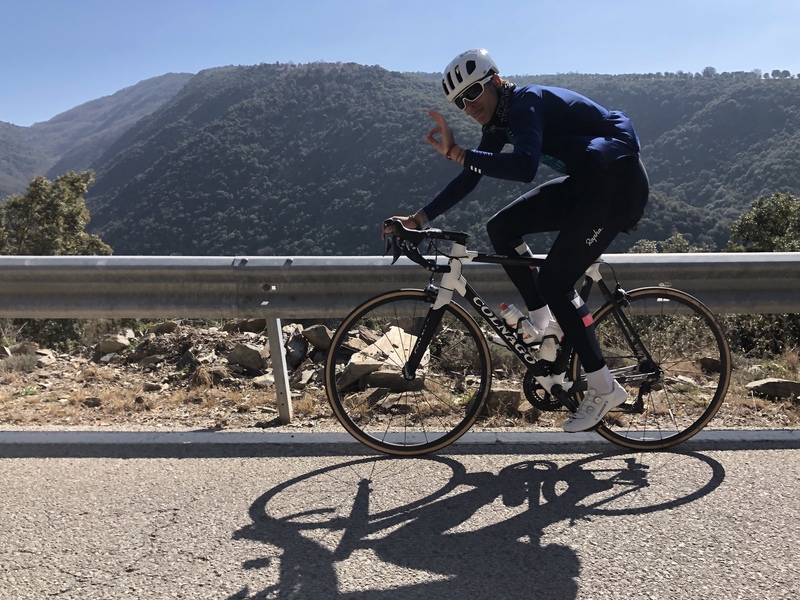 I had taken a few days off between my transfer from Antibes to Girona. Not by choice, however. I had to go back to Milan for the week and the weather wasn't great for riding. Probably a good idea to rest because the first two weeks here I was already at 56 hours of ride time. 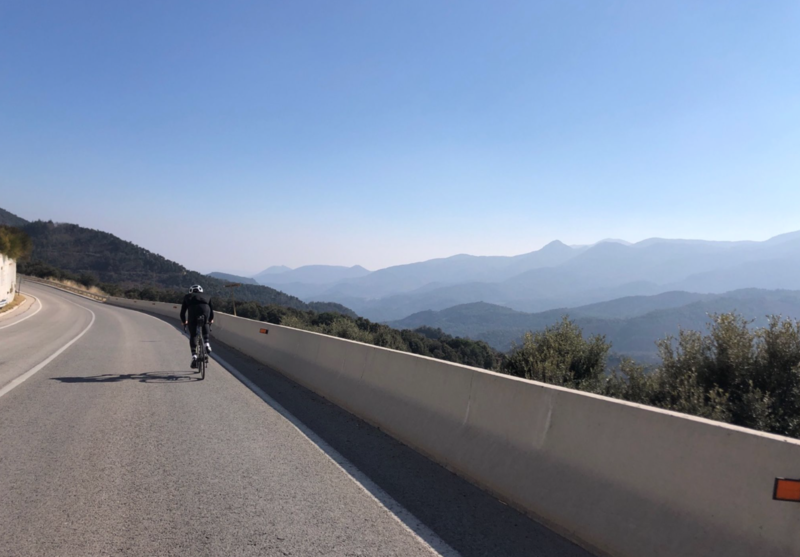 Last year in Majorca, the first ever "Tour De lean" took place. So, in the spirit of leanness and all that is lean, the second annual "Tour De Lean" would bring that hourly total much, much higher. Stage 1 - Mare de deu Del Mont + Rocacobra: 144km, 2808m. The OCA was in town so Nick and I decided to start the week off with them. 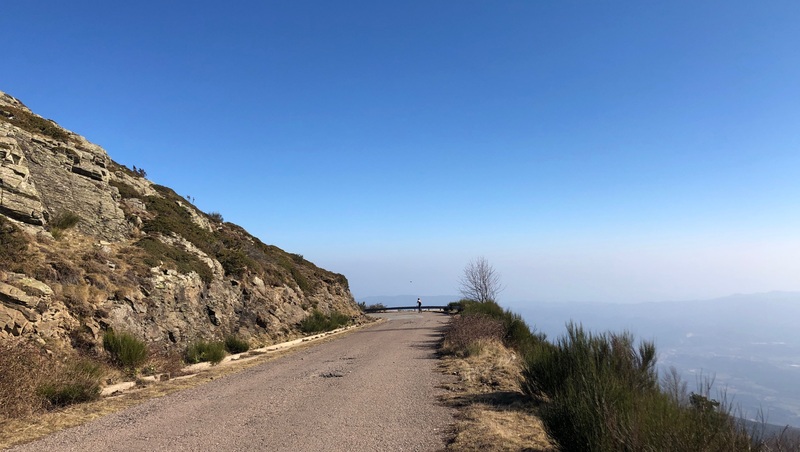 Mare de Deu del mont is one of my favourite climbs here in Girona, it's not too steep and once you get up higher the views are amazing. 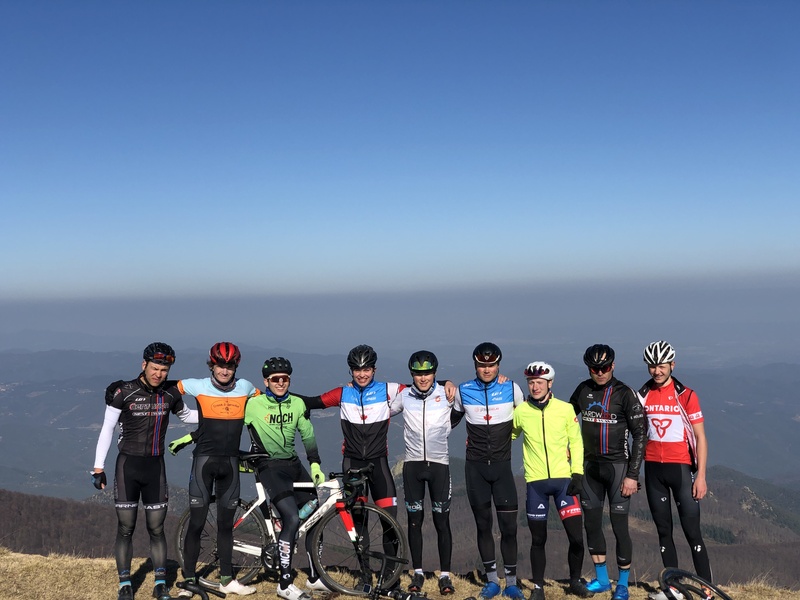 A few guys from the OCA took the wrong turn on the highway so we rode the climb in two groups. We took it relatively easy on the ascent, (except for the attack to the top) all sticking together. It's always a good idea to take this descent easy because I've some very sketchy moments with cars here last year. Next was Rocacobra. This is probably the most famous climb here in Girona where the pros test themselves(sub 30 minutes is the goal). The last 5 minutes of the climb was definitely not endurance pace. 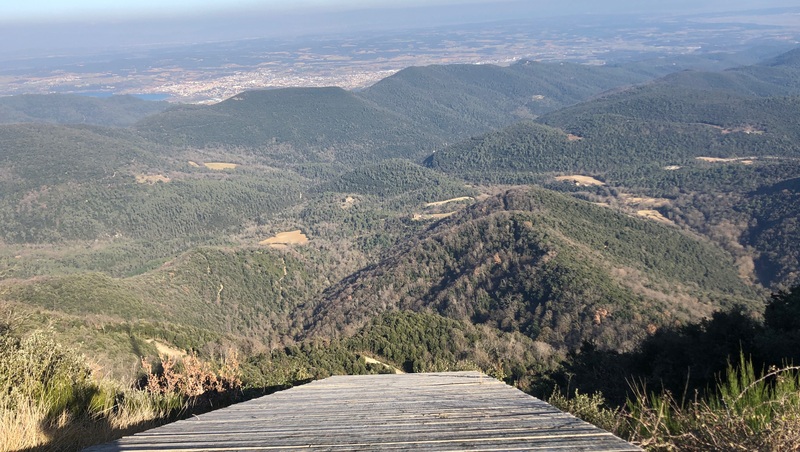 The top of Rocacobra is a dead end where you can find a ramp that's meant for hang gliding. 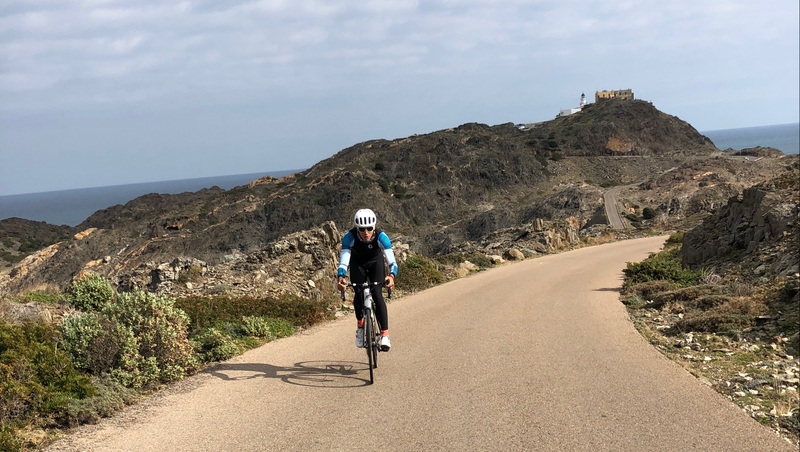 Nick and I decided to head north towards Cadaques to visit the lighthouse that some locals recommended. The ride out was pretty uneventful and not the greatest scenery but the lighthouse was definitely worth the trip. The road was sketchy in some parts and smooth as glass in others. After the lighthouse, we stopped by a bakery for some fuel and a gas station for Haribos. 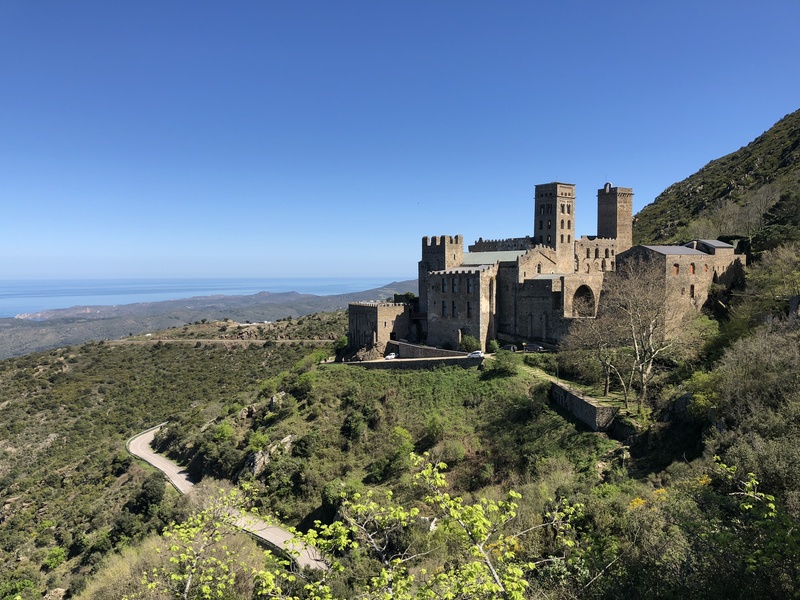 The other destination for this ride was the Monasterio de Sant Pere de Rodes. This is a beautiful former Benedictine monastery that I visited last year and really wanted to show Nick. It's not a terribly steep climb (7km @ 7%) but that's only because it flattens out at the top for a bit. The monastery itself is awesome to see while climbing. It was a pretty nice day so Nick and I decided to go south towards the coast. He had some sprints to do so I joined him. 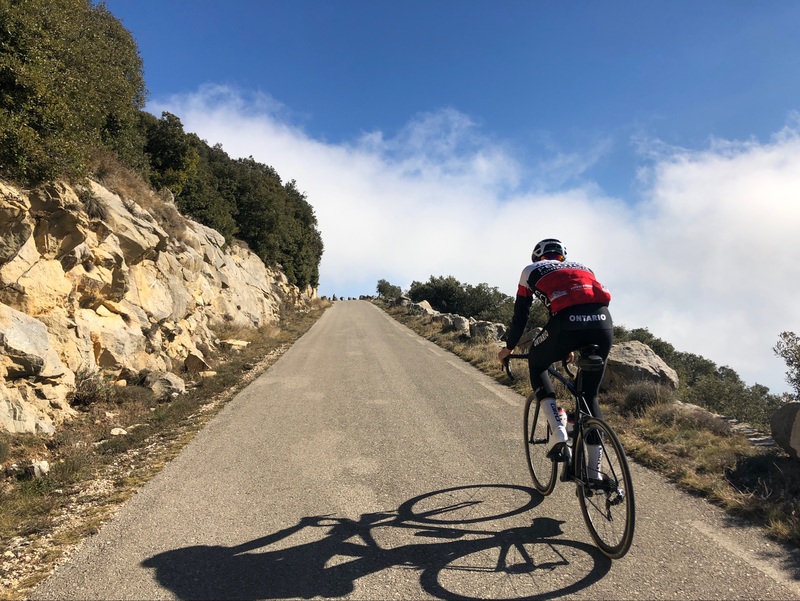 The coast is one of the more popular rides to do here in Girona, the road is buttery smooth and twisty which makes descending all the more fun. After we finished riding the coast, we stopped by Dulce Pikika for the usual espresso and coconut Carmel tart. Nick got a sandwich with an omelet and ham. He also had some cake - definitely not good for the waistline. On the way back it was pretty quiet with very little traffic which is always nice. This was a very cool day for me since I had never been on some of these roads. We rode up towards Saint Hilary which took us up to 800m and did a beautiful loop around there. 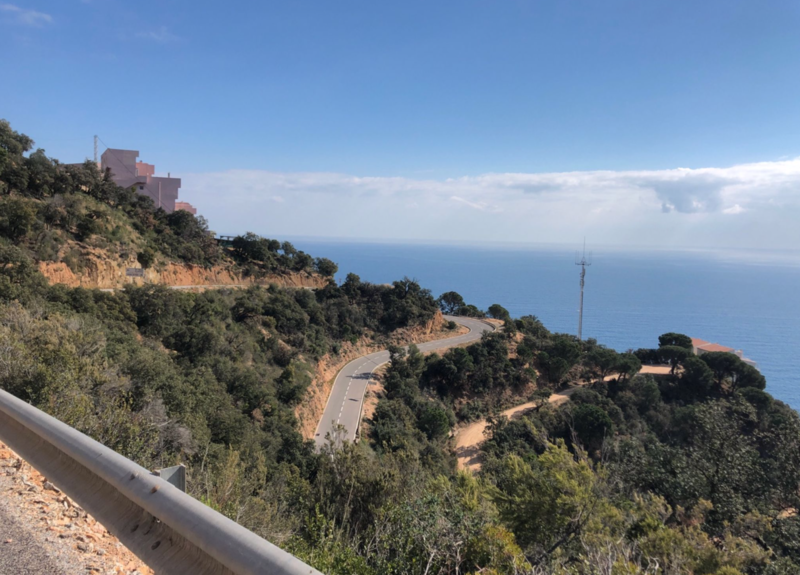 The most memorable part of the ride was the Baixada Cladells - Sta Coloma descent pictured below. The OCA was merging groups so we all went out together. We went to the coast for the second time this week and I didn't mind because it was one of those "high of 26 degrees" days in February. It was a relatively easy ride. 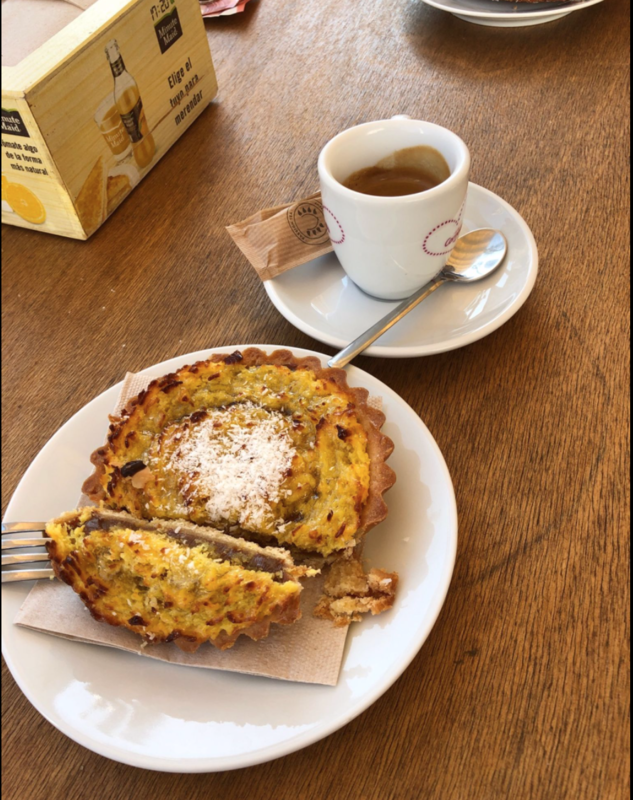 We stopped at Dulce Pikika once again for the tarts and an espresso. After the stop, the boys and girl separated, we opted to go with the girls because the boys had a very steep climb my knees were not prepared to do. Hey - I'm not a machine. The Queen stage. This was the last ride that we would do with the OCA since they left two days later. 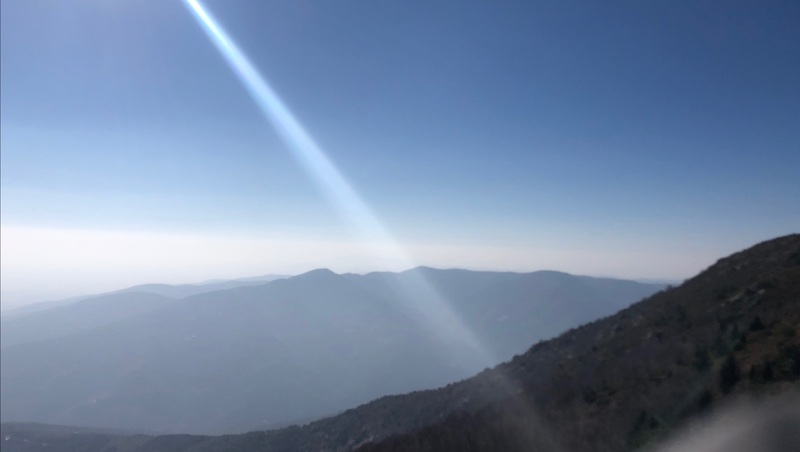 Turo, at its peak, is about 1700m. The road is absolutely horrible nearing the top. When I say horrible, imagine potholes surrounded by little bits of road and gravel. The descent is even worse. But it's not all bad, because as you're about to witness, it's worth it for these views. 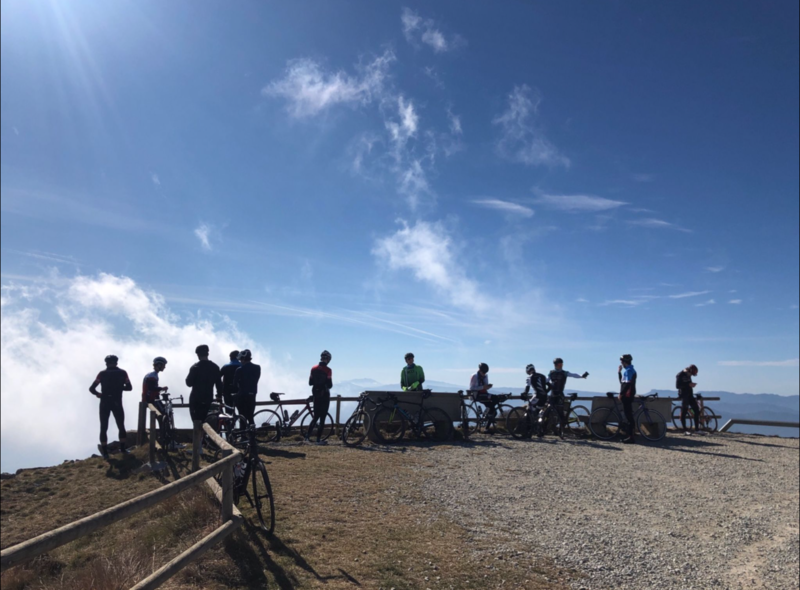 After everyone got dressed for the descent, we started rolling back to Girona. It's mostly downhill except for a few bumps along the way. I was happy that we made it home before sunset because we left pretty late and the stops aren't fast with so many people lining up to buy food at a gas station. Once we got home Gunnar and Nick wanted to go to an all you can eat sushi place. I wasn't one to argue with this decision. We were supposed to go with the OCA but they went to another one by accident. All you can eat is a funny thing here because it isn't "eat until you explode" which is what I usually do. They forgot our order nearing the end, which I'm pretty sure was another way of saying we've been cut off. We went to get gelato immediately after. 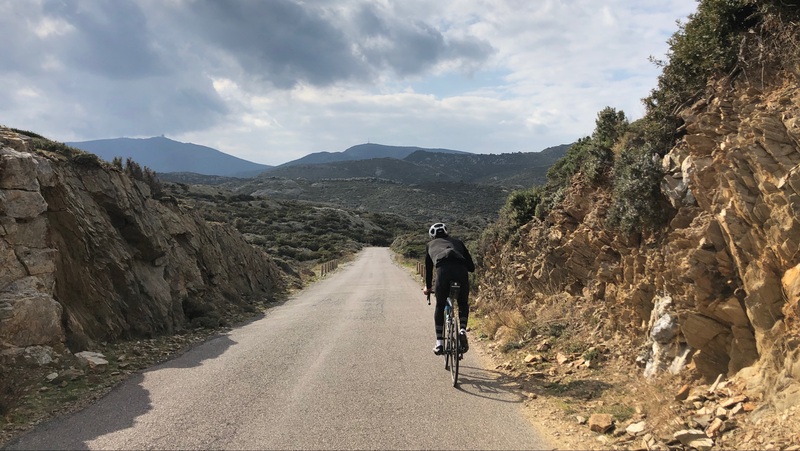 The second annual "Tour De Lean" was pretty good but a little shorter than our Majorca one last year. However, 962km with 15,000m of elevation isn't too shabby.